First-time homebuyers, the bedrock of a healthy sustainable housing market, are still largely missing in action. In February, they accounted for 29% of all homebuyers. But in the long-term data going back to 1981, according to the NAR, first-time buyers accounted for 40% of all purchases. And that’s a problem for the economy. We know what happened to home sales: The largest PE firms, armed with the Fed’s nearly free money started moving into the housing market in late 2011, eventually buying up hundreds of thousands of vacant homes that they then tried to rent out, thus becoming America’s largest landlords. Smaller investors also jumped into the fray. Under this buying pressure, home prices have soared, even as homeownership rates have plunged at record pace to the lowest level since 1994. Homeownership rates have plunged the most among younger age groups that account for most of the first-time buyers (whose median age is 31). Last year, in the age group under 35, the homeownership rate dropped 1.5 percentage points to 35.4%. In the age group 35-44, it dropped a phenomenal 2.1 percentage points to 58.8%! [Read… The American Dream Dissipates at Record Pace]. First-time buyers are stuck in the tough reality of the main-street economy. Their real incomes have stagnated. If they aren’t in the top 25%, their real incomes have declined. Rents have gone up, and in some cities, like San Francisco, they have skyrocketed, making it impossible to save for a down payment. Student loans aren’t helping. And many millennials don’t want to live out in the boonies where housing might be cheaper, but commutes long and expensive. They like living close to the city center. Real-estate broker Redfin surveyed nearly 700 of its agents across the US to find out what keeps people from becoming first-time buyers, from the agents’ point of view. So these are potential buyers who think they can afford a home, get with a realtor to make it happen, and run into the buzz saw of reality in America’s housing market. Some of them nevertheless succeed in buying a home, others don’t. And these realtors reported their findings in the survey. The balance of power is improving for buyers in many markets across the U.S., but first-time buyers are still entering a housing market with fewer homes for sale in their price range than three years ago, especially in Western cities. Buyers will have to adjust their expectations and aggressively shop for homes they can actually afford. The problem is there isn’t much on the market first-time buyers can “actually afford” – that’s the single greatest challenge identified by 49% of the agents. New listings are in price ranges that have moved beyond the reach of many first-time buyers in most markets. Note that in these days of once-again easy mortgage lending, “difficulty of getting a mortgage” has become inconsequential (2%) among the challenges. This is in part because many of the first-time buyers might have contacted a realtor first to see what is on the market at what prices before they tried to qualify for a mortgage. When they figured out that with their puny incomes they could never afford buying a home at these inflated prices, no matter how low the mortgage rate, they gave up looking, and the mortgage issue never came up. And “insufficient job security” is a non-factor as well (1%). But again, the survey of realtors might have a self-selection bias: potential first-time buyers who were really worried about their job security would be unlikely to contact a realtor to get serious about buying a home. To them, job insecurity would be the dominant challenge. But it just didn’t make it into the survey because they never contacted an agent. 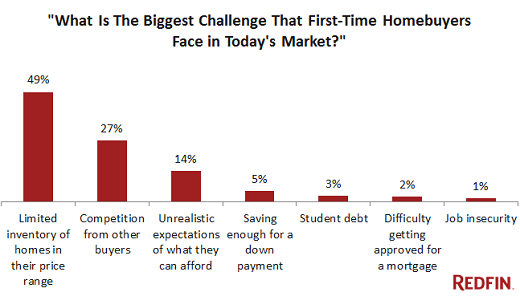 The item, “unrealistic expectations of what they can afford,” which 14% of the agents reported as single greatest challenge, is human nature. But it also shows how fast home prices have moved over the past three years. What was possible three years ago has become a pipedream today. So here is the thing for Yellen & Co. to contemplate: even if nominal wages were to rise 3% in 2015 – let’s assume for a moment that our fantasies are coming true – but the price of a median home rises by 5%, as many industry gurus expect them to, then first-time buyers will fall behind even further. This is the nature of asset price inflation. Bubbles in stocks and bonds have little impact on most people. But a home is not a financial asset. People need to live somewhere, either by buying or renting. And when monetary policies purposefully drive home prices out of reach for an increasing number of people, and particularly first-time buyers, then all kinds of real economic problems begin to occur. First-time homebuyers are a boon to the economy. They’re spending money they don’t have to fix things up. They’re maxing out credit cards to buy furniture and towels and kitchenware and a million other things they might not even need. They’re spending every last dime of credit they have available in a drunken effort to make this house their home. There’s a housewarming party, and other people dig deep into their pockets. This is in addition to all the activity associated with the transaction. First-time buyers are a powerful force in America’s consumer economy. But they’re being sidelined by monetary policies designed to inflate asset prices – the “wealth effect” – to enrich a relatively small number of people. And in the process, these policies are stifling real demand. The Fed is clueless how to unscramble its omelet. It fears “outsized market reaction” to even the smallest moves. Other central banks keep adding to the omelet. Absurdity reigns. Read… Keep Pushing Until Something Really BIG Breaks? ← Is This New $2-Billion Fund by a Russian Miner A Signal for Palladium? Can someone please explain the channel by which the near 0% money flows into PE hands? Financial institutions can borrow, for example, in the overnight repo market at ultra-short-term rates which are essentially zero. Of course, this is very risky for the financial system: borrowing ulta-short-term to fund long-term projects. When liquidity suddenly dries up, as it did during the financial crisis, all heck breaks loose. Regulators, including the Fed, are worried about it too. Another lending mechanism that is often slightly misunderstood is the “Fed Funds Rate” or the rate that banks charge other banks to borrow short term. This is important, because in a closed banking system, any bank can effectively lend infinite money and still make their reserve requirement. Let’s say you stroll into Bank A and borrow … 1 Billion dollars. Bank A only has 1 Million in reserves, so they can’t make the loan. But they make it anyway because they think they will get repaid (and want the fees). You take that 1 Billion and go over to Bank B and deposit it (prior to spending it). Bank B now has huge piles of EXCESS reserves. Bank A phones up Bank B and asks to borrow some of those excess reserves so they can meet their reserve requirement. Bank B, thinking Bank A is solvent, agrees to do so. In this example the loan could be for any stupendous amount as long as the banking system is “closed” (i.e. the loan is deposited back into the banking system). The rate Bank A may charge might be 5%, but the fed funds rate is 1%, so you the customer pays 5%, Bank A gets 4%, and Bank B gets 1%. All for money that did NOT exist prior to the loan origination. So the fed funds rate is the floor interest rate on which banks layer their fees/rates and lend to customers. Presently, the fed funds rate is .25%. So, technically it isn’t a zero percent rate, but it is damn close. The rate you can get from a bank then depends on various factors, but if the bank wants to give you a low interest loan for vastly more money than they have the “legal” ability to lend, they can do it (and do in many cases). Of course, this comes apart when things go south and banks don’t want to lend to each other because they don’t know who will fail. Sound familiar? @Cooter, where does Bank A get the one billion dollars they don’t have? It it from the Fed, or from other funding market? The way you’ve described it seems like a series of accounting tricks i.e. Bank A needs to borrow from the excess reserve of Bank B (? ), but the reserves in bank B only exist when Bank A makes the loan, so there seems to be a chicken and egg relationship here. If this is truly how it is out in the real world, then we are well and truly f**ked. The way “modern” banking works is that banks lend money (within certain constraints) that does not exist. The act of borrowing brings money into existence and the act of paying off a debt destroys money. This is allowed because the law says it is legal. If anyone other than a bank does it, they are counterfeiters and are punished. If this simple, fundamental fact were known by all Americans, it would immediately change the world. But alas, most people have no clue. Much has been written on the topic. “Money as Debt” is a youtube cartoon that is pretty well done. Anyway, once the loan exists, it is an asset to the bank and a liability to the borrower. This is important because many “assets” in our present system are a “liability” to someone else. As long as the system is growing, this game can go on. But things do not grow forever. That is what the last 8 years or so has been about; the system should have folded 8 years ago and so far they have strung thing along. When the loan can’t be paid back, the holder of the “asset” eats a loss. So, you might pay into a pension your whole life, and that pension buys a bunch of loans. If the loans go bad, the pension goes bad. The lack of affordability has changed the market quite a bit. What we are seeing in DC is that most first time buyers are now coming to the table with financial assistance from their parents. In about half of the situations, the parent wants to be part of the search and decision process. That can change the dynamics of market quite a bit when there are multiple decision makers to satisfy. I am a potential first time homebuyer… This article rings true. My wife and I are looking around the area and can’t believe the prices. I think our biggest problem is that we were born ten years too late. We are both employed with good jobs, I’m a mechanical engineer and she is a nurse, so income isn’t a problem. We are actually making much higher than median income in the area. When we are looking at the market, it doesn’t seem as though there are any deals. Fixer-upper houses are listed at around the same price as you could build. There’s no big discount for all the outdated items that would need to be repaired. One house in particular we were looking at was listed in 2012 for 200k and did not sell. They relisted it this year for 300k without any meaningful improvements, and the house is unoccupied. I can’t help but think we will simply be bailing someone else out of an overpriced home if we buy. I am hoping for a correction as we are putting together the down payment. My strong advice to you is to WAIT. I’m in Charlotte and have several personal anecdotes of another bubble in housing prices. Real estate agents are feeding the frenzy. And yes, in one case, a Dad (surgeon) stepped in an bought an overpriced flipper for his son across the street from us. Talking with the Dad, he’s done this his two other sons and then collects rent from the kids; until they can’t pay. He admits he probably won’t get paid back but he wants to help his kids out. How many people can do this? In another case, transplants from up north with time limit on move to cash in on benefits, are mislead and lied to by realtor to push an overpriced house. I helped them out by doing some on-line research that showed if they bought the house as bid it would be the most expensive in the neighborhood by far and probably at least 75 K over next price level. Insane. Ethical decline is a symptom of neoliberalism. While some say bug, others say feature. In any event, monetizing everything leads to temptation without recourse, whether internal or external. A simple solution to this problem exists, namely printing homes. The technology exists, but the political will doesn’t. One can bet the PE firms would fight it tooth and nail. This technology will put a lot of pressure on the price of stick built homes. Like most things technology it can’t be stopped. Since we quit looking, I still keep an eye on things casually, and I am amazed at what people are willing to pay for complete garbage. Colorado has many days of sunshine and there’s lots to do here, but the expense is outrageous. We ultimately have decided to rent from my parents (they are gone several weeks out of the year) as this makes it possible for us to save for having a family and a home, eventually. Sometimes I feel crazy, like we’re really missing out. But my heart knows that perhaps someday, we will find a home when the time is truly right for us. The number of houses in the Denver area asking for $400,000+ is absurd; they are only so many people–at least in terms of those who want a place to live–that can realistically afford such prices. Realistically, it’s very hard to buy a house for under $300,000 right now. Although there’s been a major influx of people into the state in recent years–some attribute it to marijuana legalization–something still doesn’t add up about the housing and rental prices, both of which have skyrocketed in the last 2-3 years. I agree. It can’t all be because of legal weed. 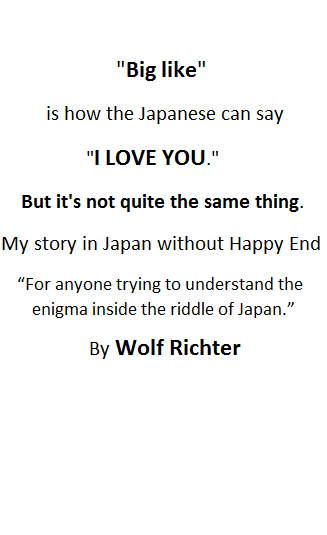 I’m hopeful things will soften. My entire family is here and I would love for my kids to grow up close to their grandparents. But I don’t want a massive mortgage. It’s very limiting to pay insane housing costs when one of us could lose employment or become too sick to work. I’d also like to be able to stay home a bit after we have a child…at least part time. It really scares me. I hope we are making the right decision by waiting. Many of the comments here and on other blogs make me feel more secure about our choice to wait. I believe it was the late George Carlin who said that. I keep wondering how this ends: will there eventually be a correction that brings prices back down to Earth (so to speak), or are these ridiculous housing prices the new normal? If the latter we’re in for economic trouble because, if nothing else, businesses are going to have difficulty recruiting and retaining employees, if the employees can’t afford to live within a reasonable commuting distance. We’ll all live in factory towns ala the Chinese. Coming to an American city near you. On the other hand China’s real-estate bubble may be about to pop. I have heard so many pronouncements of this bubble popping and that bubble popping and yet prices continue to march upwards. I am not arguing that there’s no bubble, but the popping may be a couple years away for both America and China. Since we are talking about homes that are unreasonably priced the obvious answer to your question is that the bubble will pop when banks no longer provide loans to cover homes that the buyers can’t really afford. Banks buy homes, people rarely do. They do so because the bank’s ownership of your loan is transitory and it will sliced and diced and baked into a mortgage backed security. They are not participating in the full risk of the loan, merely channeling your payments to the true owners. I would guess that we are closer to the end of this process than the beginning. The US economy’s stability is based on confidence we can pay our debts (credit=confidence) and the notion we will always be a bastion of stability in an otherwise turbulent world. We are living in a bubble world, in a country that is globally hated’. If you accept that premise then you should not be buying a home. Risks are high. If one think in terms of property valuation in gold or silver that will be fair.Home printing will eventually turn the tide in housing, but perhaps not before the powers that control the FRN’s confetti printing machine, have completely stripped the real wealth (Blood,Sweat&Tears earned assets from the post WWII period in the West.If you look into the estate tax, inheritance tax, property ownership tax laws,income tax laws etc. evidence is there, to prove the aid of the same goal.